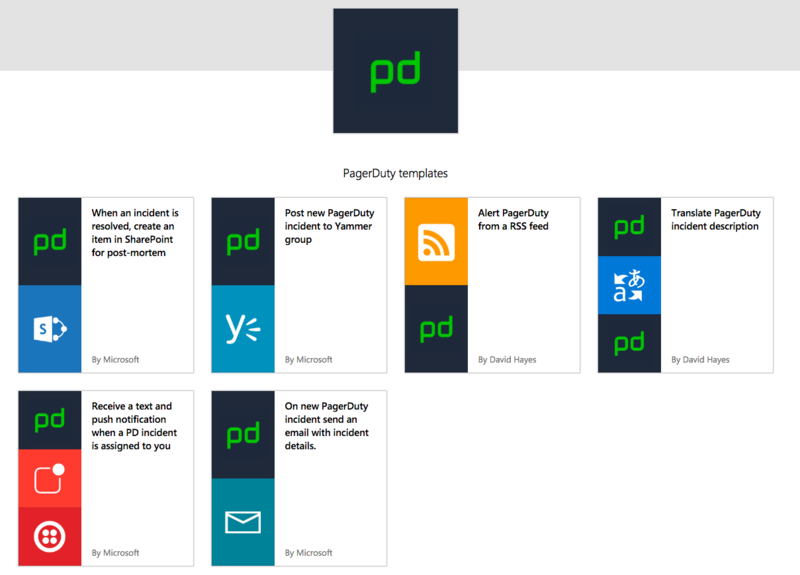 The Microsoft Flow platform now supports PagerDuty, one of the leading incident management solutions, enabling easy integrations between PagerDuty and other tools to maximize productivity for IT Ops, help desk, and developer teams. With the powers of PagerDuty and Flow combined, IT teams can now customize new ways of getting notified and responding to incidents across their infrastructure stacks. Flow is a powerful platform that allows users to bring together dozens of tools with a graphical programming language. So it made sense for the Flow team to partner with PagerDuty, the platform for extending incident management workflows that enable IT practitioners to drive down response times, maximize operational agility and productivity, and deliver on business outcomes. The Flow and PagerDuty teams have collaborated to bring you out-of-the-box templates that simplify connections between PagerDuty and your favorite Microsoft tools for a great user experience. Check out these exciting examples of what you can automate and what they look like in action — and try them out for yourself today! 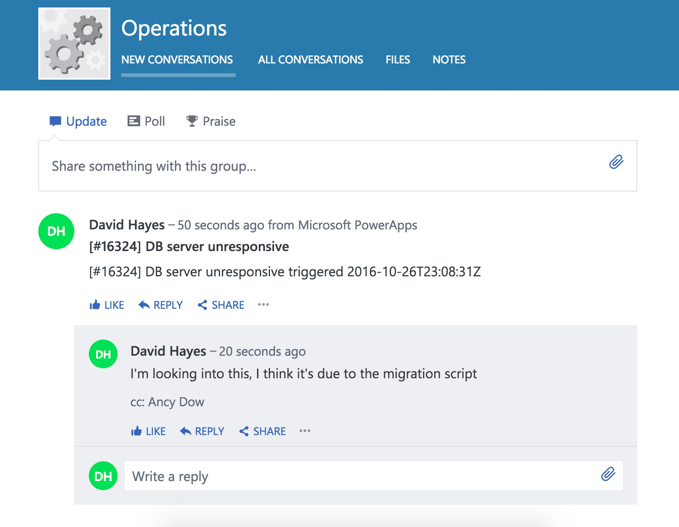 Leverage this template to automatically post PagerDuty incidents to a Yammer group and keep the right stakeholders informed on critical incidents with incident title, link, and urgency. With this template, resolved PagerDuty incidents can automatically trigger the creation of an item or follow-up task in SharePoint or Trello for a post-mortem. Do you have global teams or ever get slowed down by language barriers? 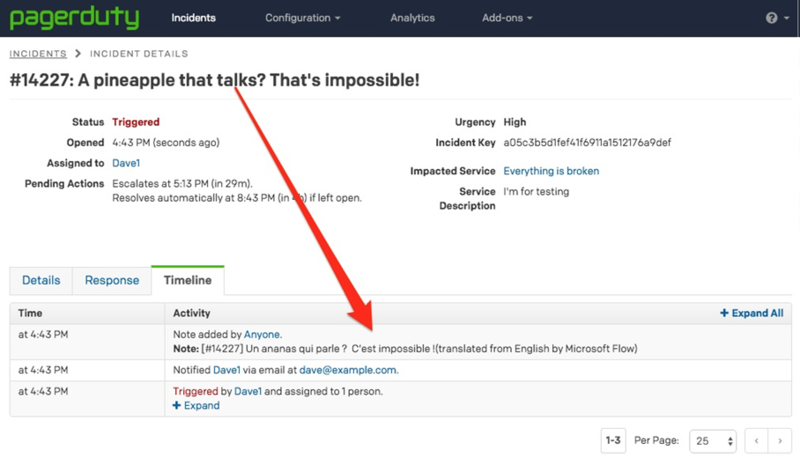 With this template, an incident description can automatically be translated via Microsoft Translator and attached as a note within the PagerDuty incident, enabling faster response across international teams. Always be in the know if one of your providers may be experiencing issues. Subscribe to RSS feeds from the key providers you depend on, and this flow will automatically trigger a PagerDuty incident if any encounter problems. 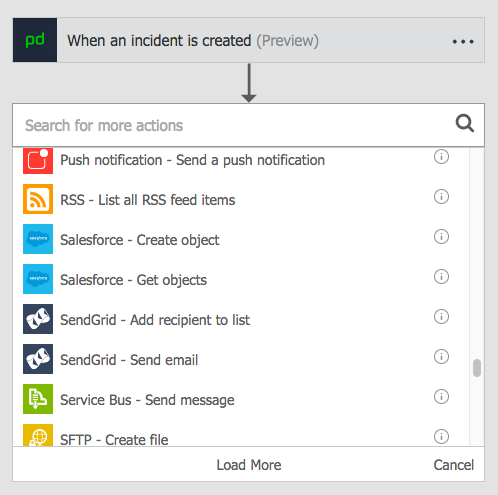 Easily integrate any app or service with PagerDuty via Flow to optimize your incident management workflows. You can leverage the pre-built templates above today, and creating additional flows from scratch is also incredibly easy. Simply search for a “trigger,” paste in the API key for that service, add the action or condition you’d like to tie to that trigger, and hit save. Read the PagerDuty blogpost for more, and get started today on building flows to drive down incident response times, from the out-of-the-box templates or your own. We look forward to hearing your thoughts as well as new ideas!